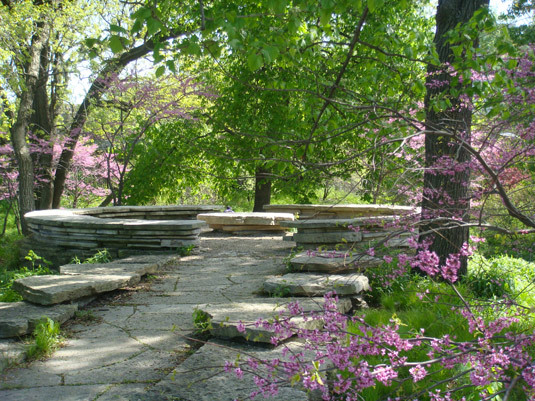 Discover two of Lincoln Park’s greatest treasures – the Alfred Caldwell Lily Pool and the Lincoln Park Conservatory – with one of our expert docents. The Lily Pool: Immerse yourself in the serenity of the beautiful Lily Pool while learning about its history, architecture, and Alfred Caldwell’s vision behind the landscape. Thanks to our $2.4 million restoration with the Chicago Park District, the Lily Pool is now the park’s only landscape with National Historic Landmark status. The Lily Pool is open seasonally from mid April to mid November. The Conservatory & Gardens: Re-discover the Victorian Era in the Lincoln Park Conservatory’s soaring Palm House, exotic Orchid House, Seasonal Show House and Fern Room. Learn about the conservatory’s vast collection of trees and plants from around the world. The Conservatory is open year round including holidays. Private group tours are available to schools, clubs, tourist groups, senior centers, and others by reservation with at least ten days notice. Tours are available seven days a week between 9 am– 5 pm (Donations encouraged). Please contact Rebecca Conant for more information. Join us for free (donations encouraged) guided tours of the beautiful wildflowers around the North Pond Nature Sanctuary or the Alfred Caldwell Lily Pool. 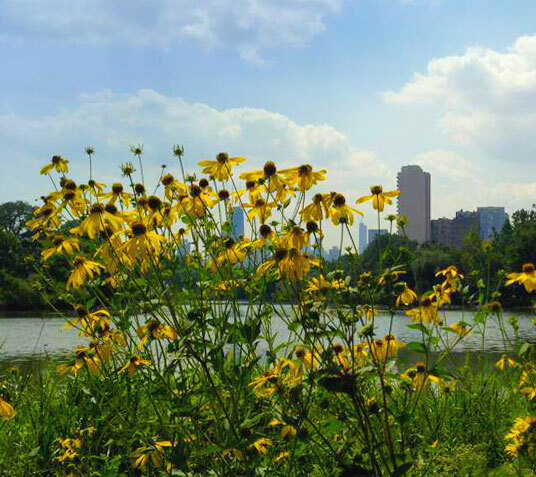 Set against the backdrop of the serene North Pond or Alfred Caldwell’s Prairie School structures, you’ll enjoy a relaxing walk while learning about the benefits of native wildflowers and how to identify them. Each month will feature different wildflower species in bloom. These easy 45-to-60 minute walks begin at 10am and are great for beginners as well as the experienced and are geared toward adults. Registration required. Please contact Aaron Hammond for more information.